One of the interesting topics on the international news currently is the One Belt and One Road project that affects so many areas in South East Asia. It is an initiative by the Chinese Government to enhance international connectivity and cooperation between ASEAN Countries to construct a unified large market. Presently, Cambodia’s economic and political status, industries and infrastructure are flourishing with a recognizable Chinese influence. 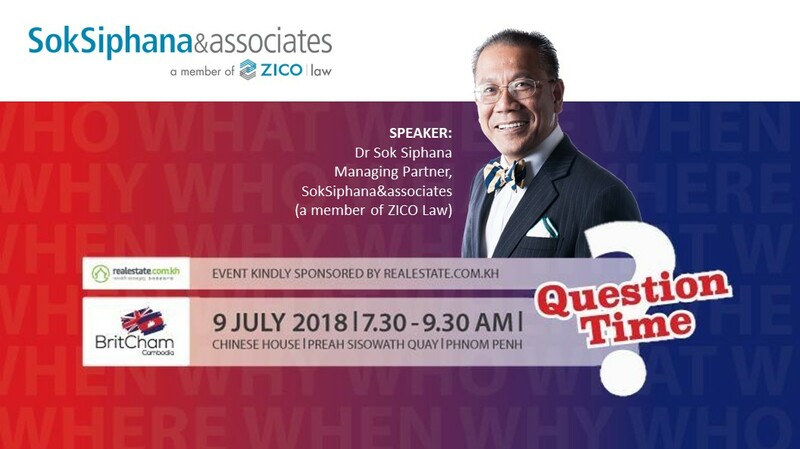 Join us as our member firm SokSiphana&associates participates in British Chamber of Commerce in Cambodia (BritCham)‘s upcoming Breakfast Talk on 9 July 2018 from 7:30-9:30am. Dr Sok, along with a panel of distinguished speakers, will discuss what OBOR means for Cambodia and how to position your business to ride the OBOR wave.